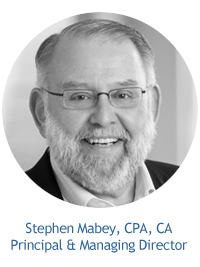 Pricing Innovation: Legal Innovation Now ~ Stephen Mabey ~ Applied Strategies, Inc.
Law firms say they are innovating in how they charge clients, but the rubber has yet to hit the road. The new phrases include — innovative services; an innovative approach to the practice of law; innovation, etc. In the absence of a firm-wide commitment, clients have to try and work with those few partners that have "drunk the Kool-Aid". This lessens the bond between the firm and the client and increases it with the individual lawyer. Such an imbalance can only put the firm at greater risk of client erosion. Pricing innovation often occurs when the law firm applies ideas to satisfy the needs and expectations of the clients when it comes to cost containment of their legal fees. Continued focus on cost containment will drive the need for firms to be innovative in the delivery of their services. A catch-22 situation is a dilemma or difficult circumstance from which there is no escape because of mutually conflicting or dependent conditions. Short-term focus - unfortunately, in most firms, pricing and embracing innovation has been left up to the individual lawyer and their individual or self-driven strategy, which tends to have a strong focus on their next compensation period. ...is it reasonable to expect to be paid more money every year for the delivery of the same legal services in the same manner? A fair question that private law firms need to answer honestly — is it reasonable to expect to be paid more money every year for the delivery of the same legal services in the same manner? While l know how I would answer this question, my perspective and $I.70 will buy you a medium Tim Horton's coffee. So I decided to canvass several general counsel types from different industries for their thoughts on innovation and pricing by law firms. My one-on-one discussions included: Emily Jelich, vice president and head of Toronto Dominion Securities Compliance and Shared Services; Karin McCaskill, senior vice president, secretary and general counsel at Sobeys Inc.; David Shapiro, senior vice president and chief legal officer of Air Canada; and Fred Headon, assistant general counsel, Labor and Employment, at Air Canada. Shapiro's response to my initial question captured the essence of the discussions with everyone. He said, "l absolutely subscribe to the view that we cannot continue to pay higher amounts for the same services without pushing the work down and without the firm generating efficiency somewhere else." There does seem to be an understanding that law firms need to invest in things such as project management, budget management and all of that sort of efficiency play, but because of the way firms are structured, it is still, to some extent, voluntary for individual firm members to decide whether or not they're actually going to participate in it. There's also no radical transformation happening in the law firms. The radical transformation is happening in the demand for the services, not from the suppliers. Everybody's willing to consider alternative fees in the appropriate circumstances. And they're open to it and they'll describe how they're open to it. And then you put them to the task and say, "So, propose." And some are a lot better at it than others, and that's where you get to see what separates, as they say, the serious from the lip service. The notion that law firms succeed, regardless of the outcome, by putting in more time, is just so contrary to common sense. The premise driving alternative fees is "When we succeed, you succeed." And if we don't succeed with your efforts, then you shouldn't' succeed so much. The notion that law firms succeed, regardless of the outcome, by putting in more time, is just so contrary to common sense. Should you think the preceding applies to only firms dealing with larger public companies, you don't have to look any further than the results of Canadian Lawyer's recent survey to experience the same inconsistencies. Of the 538 respondents, 76 per cent were with firms with 25 or fewer lawyers. A couple of interesting results include: 87 per cent of those responding to the question indicated that they used hourly rate as a leading basis of how they charge clients; and 53 per cent responded that they would keep the same rates in 2017. And yet 67 per cent of the respondents said they were proactive in developing alternative billing arrangements! In other words, the profession's attention to the changes is pure lip service. They will go to painful lengths to identify, articulate and even suggest solutions, but they can't deliver, and clients are seeing through the myth that they are willing to embrace change. For some years, I have used the analogy of building a house as to the fal1acy of not providing a budget/estimate of the cost, passing along efficiencies and fixed-fee certainty over the hourly rate. However, Headon provided me with an analogy that provided even greater clarity as to the need for innovation in both pricing and delivery of legal services. "Well that's a little harder, so we are going to charge you a little more for it." "We billed airline tickets as much as 12 months in advance. We didn't' know if there were going to be headwinds, snowstorms, the price of fuel, but we're not going to land the plane and have the pilot say, 'Well that took a little longer, so we incurred some more employee costs. Could you all give us your credit card?' Similarly, we don't get to use antiquated technology and tell our passengers 'Well that's a little harder, so we are going to charge you a little more for it.'" My sense is that there is a growing degree of frustration with the lack of substantive initiatives being undertaken by law firms; likely, it is fortunate that they currently compete with other law firms. McCaskill describes a too frequent discussion that often goes like this: "We are open to anything. What would you suggest?" And I always say, "Look, it's not for me to tell you how to organize your firm or deliver a legal service. That is for you guys to think about. I'm really transparent with what I need. Now, it seems to me it's up to you guys to figure out how you're going to respond to that need." While alternative providers may never totally unseat the larger firms, they are seen to be an increasingly viable provider of legal services more in tune with the needs of clients. Lest you get the wrong impression of the tenor of our conversation, they all had examples of a firm developing and initiating an innovative approach to both the delivery and pricing of their services. Emily Jelich provided an excellent example of where not only did a firm create a win-win situation but a side benefit to the client resulted from its approach. "'We understand the legal questions, but tell us what your pain points are." "We went to an RFP, and the firm that was ultimately successful did a very good job of saying, 'We understand the legal questions, but tell us what your pain points are. Like, why are you coming to this?' Their inquiry was not focused on legal issues but an understanding of the challenges as a legal team. And so for their purposes, given the nature of the fee arrangement, and to address this problem, one thing they did was build a searchable database. This approach provided visibility of who's asking, and what they're asking, so that we could focus on getting more training or more resources to people in this field." Obviously, some clients have had different experiences, but the in-house lawyers who were so kind as to honestly share their experiences have a relatively broad exposure to a good cross-section of Canadian law firms. There is no solace in not being any worse than your competition! Rather, the stage is clearly set for a few firms to embrace breakout innovation resulting in real differentiation. This differentiation is not solely the domain of "big law" but rather wide open for small to mid-size firms. But perhaps the game changer will not even be a traditional law firm! First Published in Canadian Lawyer June 2017. Copyright © Applied Strategies Inc.